The Marimo ball is native to Akan Lake in Japan and is also found in a number of lakes in the northern hemisphere including in the United Kingdom, Russia, Iceland, Scotland and Estonia. 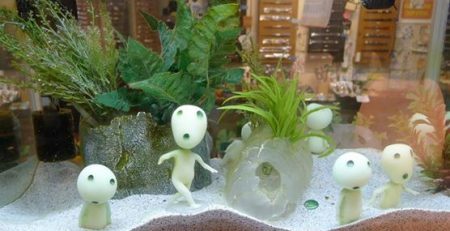 A rare growth form of algae called filamentous green algae (Chlorophyta), “Mari” means bouncy ball and “Mo” is a term for plants that grow in water. 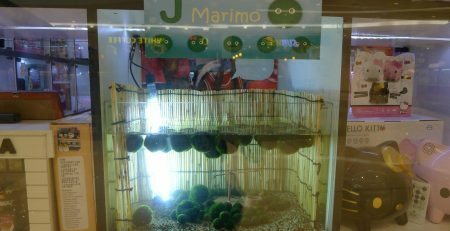 So, marimo literally means bouncy plant. 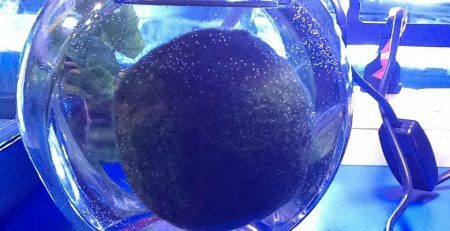 Marimo balls develop their characteristically round shape because water currents push them around the bottom of lake beds. 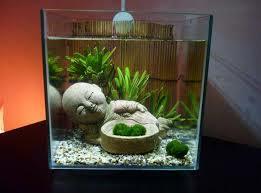 The growth rate of Marimo is about 5 mm per year and they grow to be considerably large, up to 20–30 cm (8–12 inches). 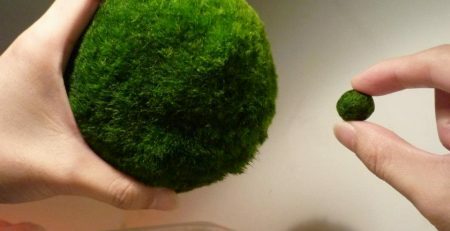 Marimo ranks among the strangest plant on Earth and is a protected species in both Iceland and Japan, where it was declared a National Treasure in 1921. 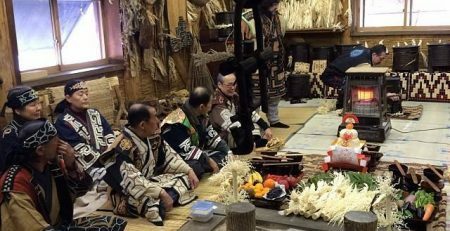 In Japan filaments are rolled into balls by hand and sold in stores because the lake balls are prohibited. In Iceland it is believed that taking good care of the plant will make wishes come true. Because of its popularity, the population of Marimo is dwindling, so show your Marimo some love. It’ll have a long life and brings you good luck for years to come. 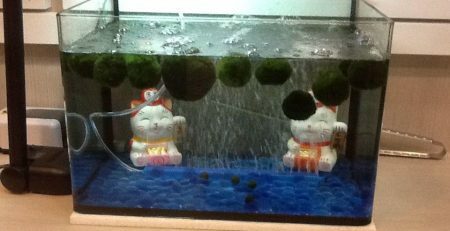 Marimo balls have been known to live as long as 100 years! 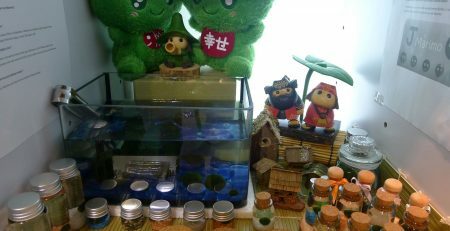 Don’t worry about contributing the the extinction of Marimo. You’ll be fine. They are very easy to take care of. All they need is normal household lighting or indirect sunlight to make food. 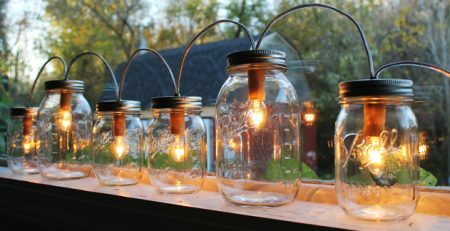 Turn them over once in awhile to keep their round shape. 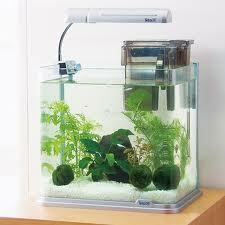 If you choose to put Marimo in an aquarium, be sure not to put any algae killer in the water! Change the water once a week and you’re done!